The mouthwash industry is big business and highly competitive. So when Colgate Palmolive bought the global (non-U.S.) rights to Plax mouth rinse from Pfizer for $105 million, management required all packaging be refreshed and effectively brought into the Colgate family. CrossRoads Studios reviewed competitive brands prior to developing a solution. 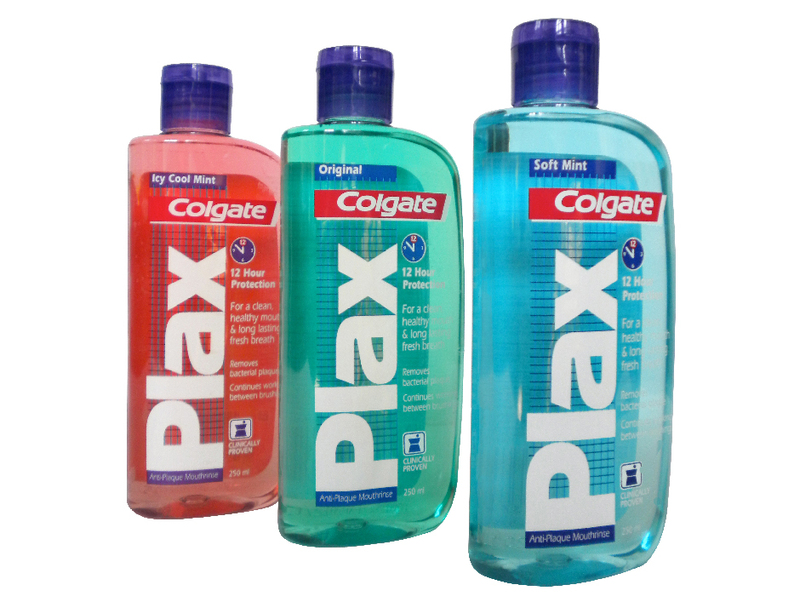 It was critical to communicate the Plax identity, its unique 12 hour protection, three flavors and a Colgate endorsement. The package elements required the right hierarchy, focus and package area “real estate”. CrossRoads Studios succeeded in balancing all the elements, while creating the global packaging for a product with exciting shelf presence. When purchased from Pfizer, Plax was sold in 35 countries with annual sales of $70 million. Plax quickly established itself as a world-class product. More recently, the Plax annual worldwide sales have grown and expanded to more than $230 million. We’re available to discuss your packaging needs. CLIENT NOTES: Colgate-Palmolive Company is headquartered in New York City. It is a consumer products company with sales exceeding $17 billion and sells products in more than 200 countries. Colgate-Palmolive Company is a leader in the oral care category, with its oral care brands accounting for 46% of its global sales.